The Church Course in Cornwall’s St Enodoc rates high again in golf course rankings with high place positions in a couple of recent golf course surveys. This summer, Germany’s Golf Journal magazine published its first ranking of the ‘Top 100 Golf Courses in Europe’ combining courses from both the British Isles and continental Europe. 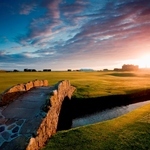 St Enodoc was awarded 51st slot in the ranking with the heralded Royal County Down, Turnberry’s Ailsa Course and Royal Dornoch golf courses headlining the list. 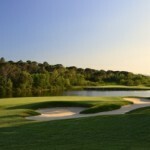 The Munich-based publication’s most important criteria was difficulty and design of the course, followed by scenery and facilities ranging from the clubhouse to the practice area. 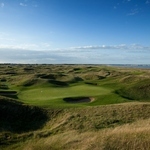 Top UK magazine Golf World recently revealed the Church Course in 39th place in its ‘Top 100 Golf Courses in Britain & Ireland’ as voted by a panel of experts and Golf World readers. 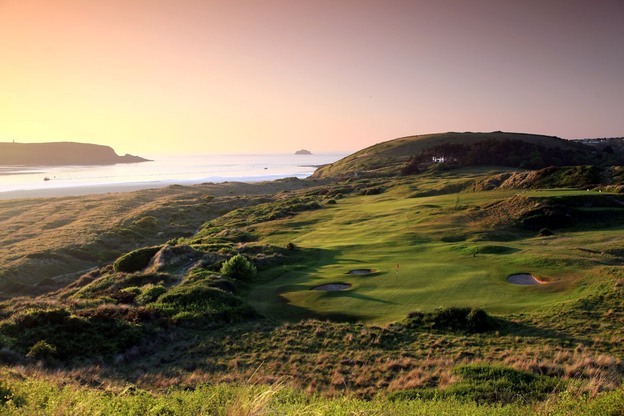 These recent results top a good year in the rankings for St Enodoc as in January it was included in Golf Digest’s inaugural ranking of the ‘World’s 100 Greatest Golf Courses’. One of just 11 courses in England that feature in the listing, St Enodoc was awarded 99th position and was described by the authoritative US magazine as ‘A rollicking James Braid design on the southwest toe of England, lengthened in the past decade but still short and odd enough to be a cult favourite’. St Enodoc remains extremely reasonable to play with green fees in the summer priced from £75 and just £45 in the winter.